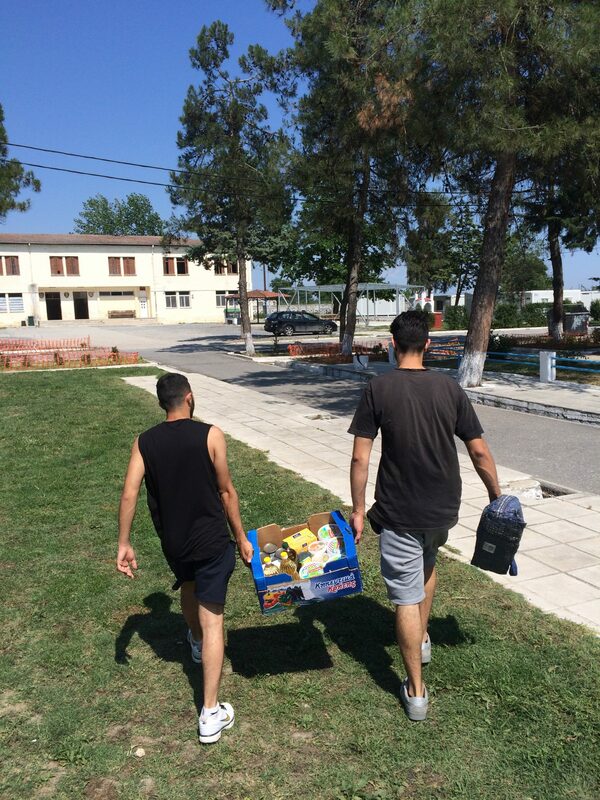 Weekly run to Alexandria camp for basic food supplies such as oil, sugar, and flour. Now the good news! We welcomed another member to our “Pame” project! Wael, a young Syrian man who knows Waseem and Hazim from Alexandria, has been waiting for months for news on his relocation to another European country. Like everyone else, he has no idea of how long this process will take. 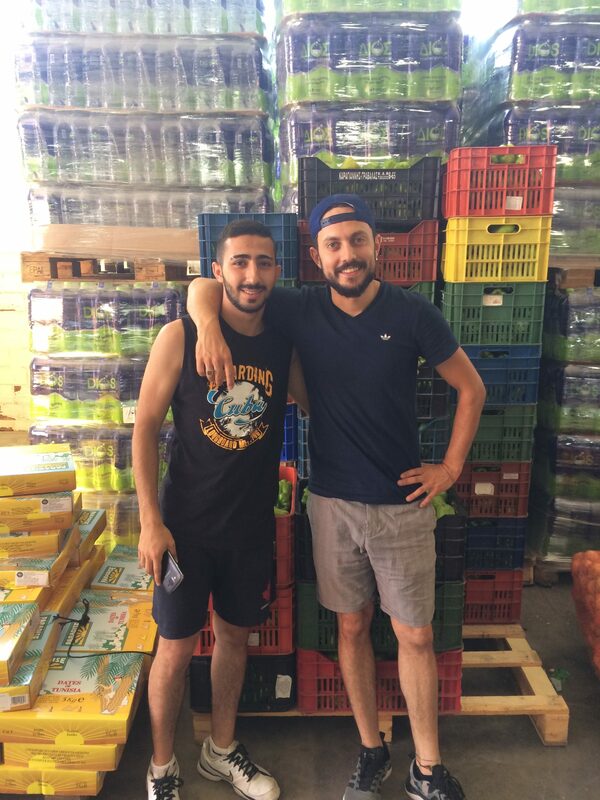 Wael join the others at the Help Refugees warehouse, for which he has received the month bus pass. And, I am thrilled to announce, that from now on, we will also provide phone credit for all members of the program! Mobile communication is so important for people who are displaced, as it is the only connection they have with their families and friends. Phones also allow participants to call lawyers and gather information about their asylum process and legal details. Wael is already the third Robin which can work at the warehouse. It is wonderful to see how our Syrian members of the “Pame” project, Waseem, Wael, and Hazim, are building community at the Help Refugees Warehouse.Last Monday they invited me, and many of my volunteer friends with whom they have also become friends, to a traditional breaking of the fast (Iftar) during the holy Muslim month of Ramadan. We went to their flat to eat and for many of my volunteer friends it was the first time to be part of such a tradition. The food was delicious and plentiful, and we finished the night with sweet chai and games. I believe it is nights like these that are an important step toward breaking up the categories of “us” and “them,” and lead us more towards a “we”, human beings enjoying a meal and having fun together. 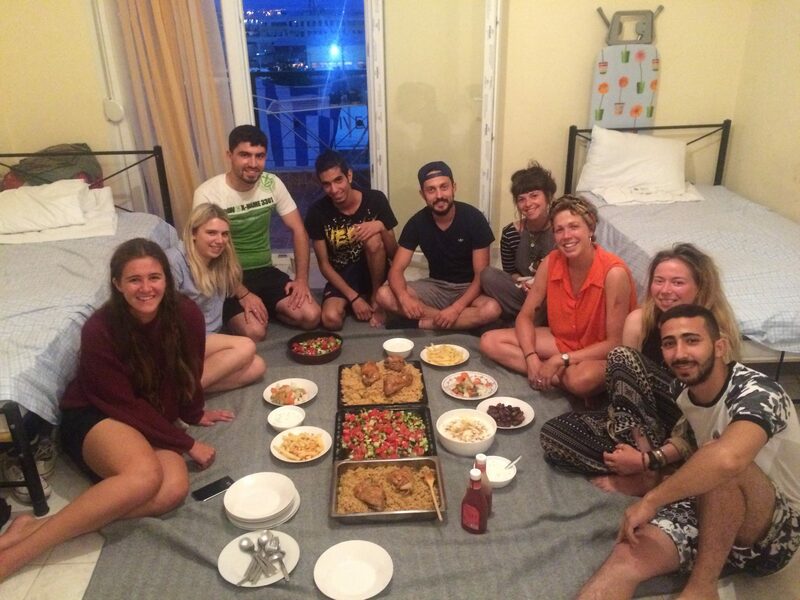 Breaking the fast together at our Syrian friends home.